Now this is a project that dog lovers can get behind. A family from Seattle will travel with their dog, Zolo (who happens to be from Taiwan) through Canada to give you a taste of what life is like in that beautiful place we like to think of as our good neighbors to the north. 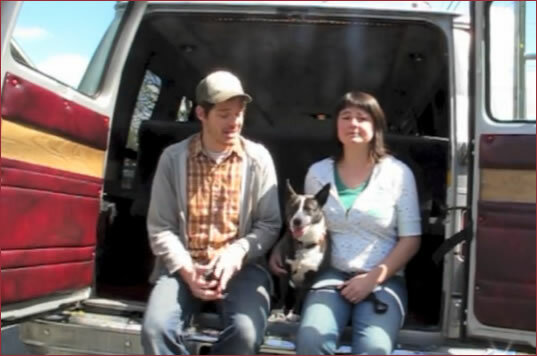 Let’s keep in touch with Alexis, Charlie and Zolo and follow their travels and insights while they journey across Canada in their van they have named Vanny with their puppy Zolo, hero to neurotic dogs everywhere. I’m sure they will greatly appreciate your encouragement and backing. Information is available at ZoloNeurotico.com and on the Kickstarter page at http://kck.st/10tu9tP. 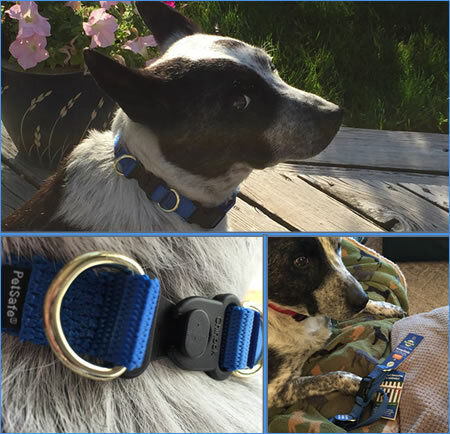 Alexis, Charlie and Zolo are a family from Seattle, Washington. They’ll celebrate their sixth wedding anniversary somewhere in British Columbia this July. But the star of the show is Zolo, their 27-pound mixed breed rescue who came to live with them three years ago thanks to the magic of Petfinder. All three are world travelers. Their numerous past trips include a month-long honeymoon in Bali, four months working and living at the South Pole, long trips in Europe and many multi-day, back-country hikes around the Western United States and Alaska. Even Zolo was rescued in the hills of Taiwan and flown here as part of a rescue program. by Charles Redell ~ We’re gathering material for a multimedia travelogue and guidebook to seeing Canada with a slightly neurotic dog. What a smart dog. Norman the Scooter Dog has many talents, and we agree with his view of puppy mills. Please pay attention to Norman, his goal is to end dogs being bred through puppy mills. 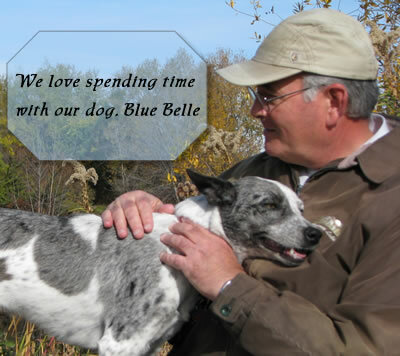 He encourages people to rescue a dog from a local shelter or rescue group, then take the time to learn obedience training and have some fun with your pet. We saw this video this morning, and love it. My last post featured a Facebook page that encouraged Alaskans to find a lost sled dog. The dog was a foreigner, belonging to a German musher who resides in Norway. After much social networking the two were reunited in Alaska, five days after the dog disappeared. Now I have another story for you. I received an email from Jon Kolker, co-founder of a new site, wheremydogsat.com – the first ever location-based social network for dog owners. Jon founded the site along with his friends Kabir Shukla and Gareth Wilson. As dog lovers, they wanted to create a community for dog owners to connect with each other in a new way and discover fun places and activities. The end result is a mobile web app that lets users find, check-in, rate and just have fun with their dogs. They work on iPhone and Droid devices. Jon said they are also working on new features that allow users to find rescues and shelters and donate to dog charities and service dog organizations. So when I’m sitting at the dog park with my dog and canine contributor, Maggie, and visiting with the other dog parents, I can pull my iphone out of my pocket, and take a look at wheremdogsat.com. And, as they say . . . Remember – it’s a dog meet dog world.